The Brenda Connor-Bey Learning to See™ Legacy Workshop Series focuses on ekphrastic creative writing and explorations of all art forms as well as other ways to "see" in each of the three-session workshops. Partially funded by P&W, the Friends of the Greenburgh Library and Greenburgh ACC, workshops are free and open to the public. The Brenda Connor-Bey Learning to See™ Legacy Workshop Series focuses on ekphrastic creative writing and explorations of all art forms as well as other ways to "see" in each of the three-session (two-hours each) workshops. [Ekphrasis = description, in Greek. An Ekphrastic poem is a vivid description of a scene, or more commonly, a work of art.] 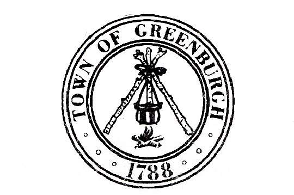 Partially funded by the Friends of the Greenburgh Library and Greenburgh Arts and Culture Committee. Workshops are free and open to the public. Beginners as well as established poets are welcomed. Students enroll for three-session workshops of two hours each. Participants are strongly encouraged to attend all three sessions. After pre-registration class limit is reached, a Wait-list will be formed. Wait-listed students will be contacted as spaces become available. To Register: Go to www.greenburghlibrary.org. Click on Events. Click on Monthly Calendar, and go to the month when the workshop will take place. Click on the first date of the three-part session. A box will open with a “Register” button. The button will not appear until the “Registration Open” date and time noted above. Fill in your information and click Submit. You will receive a confirmation of enrollment or a Wait-list message. IF a space opens up, the first person on the Wait-List will be moved to the Registered List and will be notified via email.